There are a few parts of your vehicle that you likely know that you need to maintain in the winter months, such as your tires, oil, and windshield wipers. Another important part of your vehicle that you need to maintain in colder temperatures is your battery. Colder temperatures often put a strain on the battery and alternator as it takes more energy to start your vehicle and keep the heat working as well as the headlights and defroster if needed. When you look at your battery, check to see that the cables and posts aren’t corroded. Many new batteries have a gauge with fluid in them so that you can see if it is full or not. Pay attention to the date on the battery as those that are older often deplete faster than those that are newer. 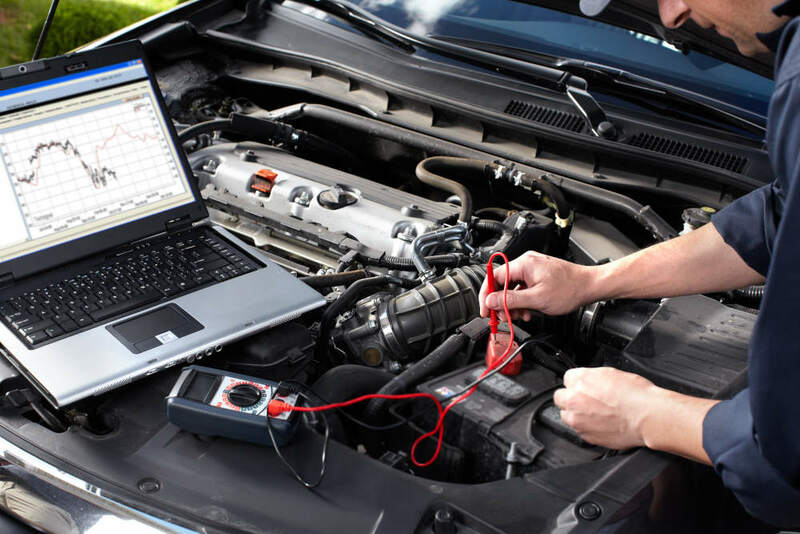 Someone at Road Runner Auto Care in Apple Valley can test your battery and other electrical components to ensure that they are working properly. Try to keep your vehicle as warm as possible. If you have a carport or garage, then store your vehicle in this locations so that it’s not directly in cold temperatures. If you don’t have anywhere to store your vehicle, then consider putting a tarp or blanket over the hood of your car when you’re not driving it to keep it as warm as possible. Turn the switch on in your vehicle to let the electrical system warm up before starting your vehicle. After starting your vehicle, wait a few moments before turning on the heat, radio, and other components. Changing the oil in your vehicle can help to prolong the life of your battery as well. 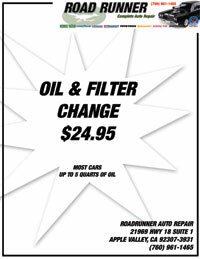 A technician at Road Runner Auto Care in Apple Valley can change your oil, using a lighter weight for the winter season so that it flows easier through your vehicle compared to a heavier weight.